Have your kids already started school? Or perhaps that’s still to come in the next couple of weeks. 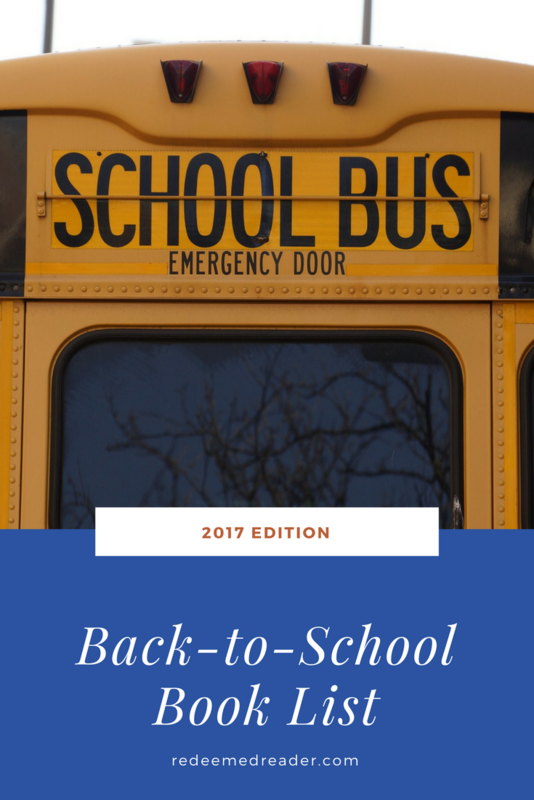 No matter what stage of back-to-school season you’re in or whether you’re a homeschool family or fans of traditional school, check out our annual Back-to-School Booklist! 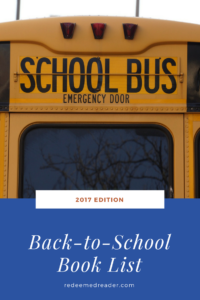 As usual, our Back-to-School Booklist features books for all ages, both fiction and nonfiction, on seasonal and academic subjects and themes. Titles are linked to amazon (affiliate links–thanks!) and include links to RR reviews, where applicable (more links will be added as titles are reviewed). Stealing Home: Jackie Robinson Against the Odds by Robert Burleigh and illustrated by Mike Wimmer. A picture book biography of this baseball great–just in time for fall World Series action! Growing Patterns: Fibonacci Numbers in Nature by Sarah C. Campbell. Part math, part nature study, this illustrates the glorious order God has placed in Creation, from flowers to pineapples to the golden ratio. Note: God and his Creation are not mentioned explicitly, but the connection is easy to make. 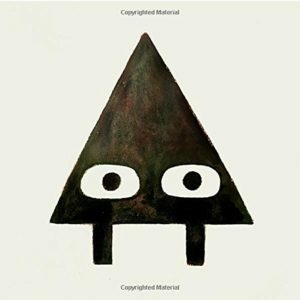 Triangle by Mac Barnett and Jon Klaasen. A droll introduction to shapes that preschoolers and kindergartners will thoroughly enjoy! Blue Sky, White Stars by Sarvinder Naberhaus and Kadir Nelson. Beautiful and spare, this is a good introduction to a unit on citizenship, the American flag, our country as a community, or just a way to start the year! Good for elementary grades. This Beautiful Day by Richard Jackson and illustrated by Suzy Lee. A lovely tribute to making every day “beautiful.” Although not referenced, it’s hard not to think of Psalm 118:24! 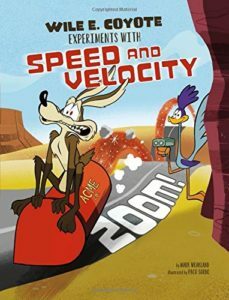 Wile E. Coyote, Physical Science Genius series. Just why does that wily coyote never quite capture that speedy roadrunner? A fun mix of physics and cartoons. New titles available as well as old–look for these at your local library! Blockhead: The Life of Fibonacci by John D’Agnese. An engaging picture book biography about the boy who loved to count things and noticed a fascinating number pattern in nature. The Secret Project by Jonah Winters and illustrated by Jeannette Winters. A well-done first look at the Manhattan Project, focusing on the work at Los Alamos and the Trinity test site. Picture book, but style and content make it more suitable for newly independent readers. Let’s Clap, Jump, Sing & Shout; Dance, Spin & Turn It Out! Games, Songs & Stories from an African American Childhood collected by Patricia McKissack and illustrated by Brian Pinkney. Not technically an easy reader or chapter book, this collection is full of rhymes, stories, and fables that newly independent readers will enjoy–and their younger and older siblings will enjoy, too! Parents will recognize many of these familiar rhymes, regardless of cultural background. Penguin Day by Nic Bishop. Short, straightforward text accompanied by darling photographs will reward newly independent readers, especially if they’re ready for some big words. Picture book, but it will work as an independent read. Howard Wallace, P.I. by Casey Lyall. 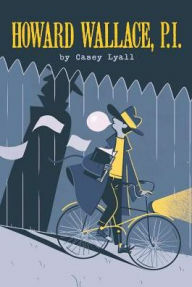 This is the first volume in a mystery series for middle graders. Howard operates on a shoestring and his voice is a take-off on innumerable Sam-Spade parodies. But it’s done especially well here–fun and engaging. Watch for our review tomorrow. Posted by John David Anderson. * Seventh grade gets off to a bad start when a few mean Facebook posts cause the powers that be to ban cell phones. But the kids find a way around that with Post-It notes. Some language and “Identity” issues (one student may be gay) but a worthwhile discussion starter. See our review on Thursday. When On Earth? History as You’ve Never Seen it Before! A history timeline on maps, showing simultaneous events and their geographic regions. Skip the first couple pages on origins and discover what else was going on during major world events! Dragon Seed by Marty Machowski. * Fantasy fiction for teens incorporated with a 12-lesson Bible study on spiritual warfare. The plot is well known, but the background provides solid scriptural guidance for facing up to one’s own weaknesses and finding help in the right places. We’ll post our review on Wednesday. Joplin, Wishing by Diane Stanley. A thoughtful novel with a fantasy dimension, about finding the parts of your heritage you can use and letting go of the parts you can’t. See our review tomorrow. National Geographic Kids United States Atlas. Studying U.S. History this year? Grab this handy, colorful atlas to enjoy alongside history class! *don’t miss the titles starred in the “Middle Grades” section; those titles work well for younger teens as well. 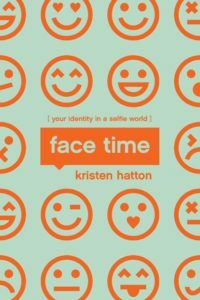 Face Time: Your Identity in a Selfie World by Kristen Hatten. 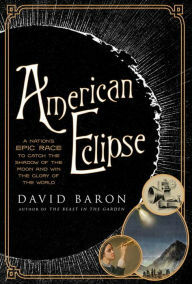 Nonfiction, esp. for girls, about finding your identity in God, published by New Growth Press. We’ll review on Wednesday. It Couldn’t Just Happen by Lawrence O. Richards. This is written from an outspoken Christian worldview (and a young earth creationist perspective, although not as dogmatically so as others), and the small sections are great at prompting good discussions for upper middle grades and early high school students about science and the Bible. Try reading just one section at a time with your children or students; do be prepared to discuss this one as not all Christians agree on the intersection of science and the Bible as presented here. Don’t forget to check out our Space and Sci-Fi Booklist for more fun titles to start the year off! What about you? What books can you recommend for students heading back to school this month? 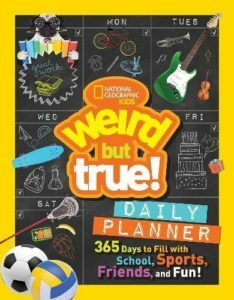 Comment below for a chance to win the Weird But True student planner*! What a fun looking planner! I really like the book “Noah Webster and His Words”, as well as “Blockhead”. Thank you for all the great recommendations! I’ve got Noah Webster on hold at the library! Can’t wait to check it out. All of these books sound very intriguing, particularly the Dragon Seed, the Diane Stanley novel, the transgender discussion book, and the technology ones. Thank you so much, and I hope you had a chance to enjoy the eclipse today. Truly reminded me of how awesome and creative God is! And, it was really funny hearing the crickets and cicadas communicating while it was briefly dark. Then, as soon as the sun emerged again, they quieted down. Really neat! God bless you. Yes, Meredith, the eclipse was amazing! Janie may have more to report since she traveled to the “path of totality.” I “only” saw a 96% coverage in my area, but it was a very cool experience. We were commenting how the precision and predictability of this eclipse could only be the result of an orderly Creation (and not mere “happenstance”)! “This Changes Everything” — I did a “book club” with my 2 teens this summer with this book. It gave them (and me!) a lot to think and talk about. Thanks for the recommendations! We will add them to our list as we are still finishing up the Wilderking series (our summer was not long enough!). My 12 year old and I are reading through “Between Us Girls” (also published by New Growth Press). Great book to foster discussion between girls and moms! Your website is wonderful! Thanks for all the work you put into it! Thank you for this post! The Hiding Place is on my daughter’s reading list this month. Haven’t read the American Girl books but I have heard good things about their books dealing with different issues that girls face. I think the book Face Time sounds interesting. I’m an author of historical fiction for middle grade readers, so I read lots of that genre. deeply divided back then, too, and each side did evil things to the other. That Buffalo Bill one is a good one and a favorite of ours, for sure! Thanks for offering this book. And thank you for the reviews and suggestions for books. We are enjoying The Ordinary Princess from last time around. I am looking forward to the Fibonacci books this time around. That looks like a super fun planner! My girls keep on reading El Deafo over and over! Previous PostAre Your Kids Reading-Ready for College?